There’s no two ways about it – garage doors have a lot of parts. From springs to sensors, keypads to remotes, the ins and outs of how to repair a garage door can be pretty mysterious. So, how much does it cost to repair a garage door? It can start at $100 for simple repairs and go up to $350-$400 if new parts are needed. Full replacement starts at around $300 and goes up from there. Even if you call in the experts for your garage door repair, it can seem a lot like that proverbial trip to the auto mechanic – you never know who’s honest or whether they’re taking you for a ride. If your garage door needs fixing, you don’t need to quit your day job to get a good idea of the average garage door repair cost – just have a look at our pricing guide. We believe in garage door pricing transparency because we’re confident that if you take two simple factors into account – parts and labor – you’ll agree that we’re the best choice in town. But don’t just take our word for it – have a look at our garage door repair cost guide below and see how we match up to national averages. Needless to say, we think you’ll be impressed. There are a few options when it comes to replacing a garage door opener – that is, the motor that automatically opens and closes your garage door. You can opt for a chain drive garage door opener, which is affordable, reliable, and a bit more noisy – best for a detached garage. Belt driven garage door openers are quieter and slightly more pricey. And screw drive garage door openers are also simple and easy to maintain, but do produce a lot of noise, as well. A new chain-driven garage door opener costs $150 - $200 in the box, no installation included. Belt-driven openers begin at $250 and go up from there, not including installation. According to homeadvisor.com, average garage door repair prices range between $221 - $492. A brand-new garage door opener with installation starts at $330 with Puls, and can range up to about $450. Does your garage door fall or bounce around unexpectedly? This is not only dangerous, but could also indicate aging or broken door cables, thus the immediate need for a cable replacement. If the cables aren’t operating properly, your garage door may not be able to close on its own, or it could drop down and injure your loved ones. According to the national average, new sensor replacement can start at anywhere from $150 - $200. 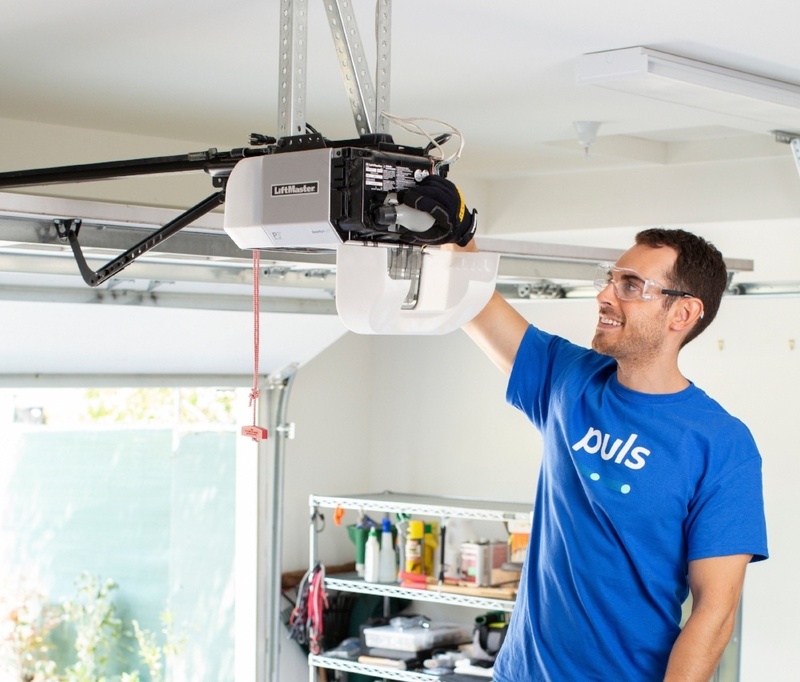 With Puls, garage door cable replacement or repair starts at just $90. If you’re at home, the telltale bang of a torsion spring snap can be quite startling – and rightly so. A torsion spring coming undone can be quite dangerous, and can potentially even cause severe injury. 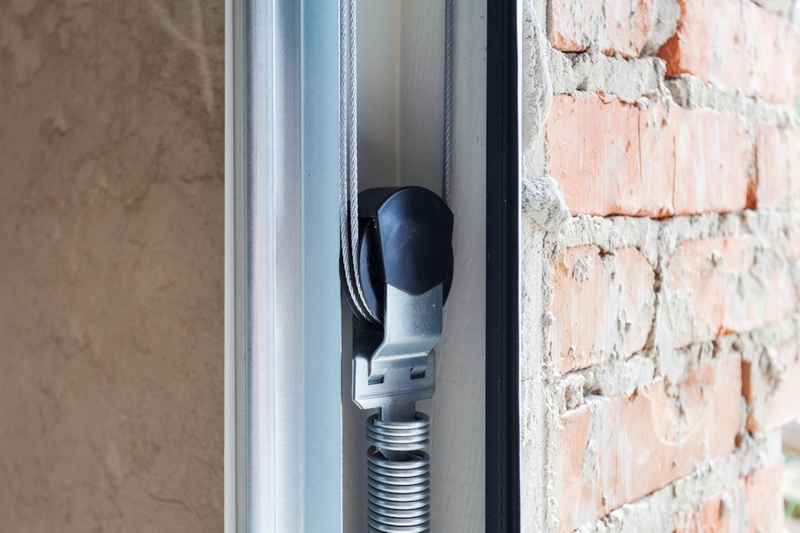 Even if you’re not at home when the spring snaps and suspect that only one spring has broken, it’s best to be cautious and leave the repair to the professionals, as the danger of a second spring snapping can be severe. 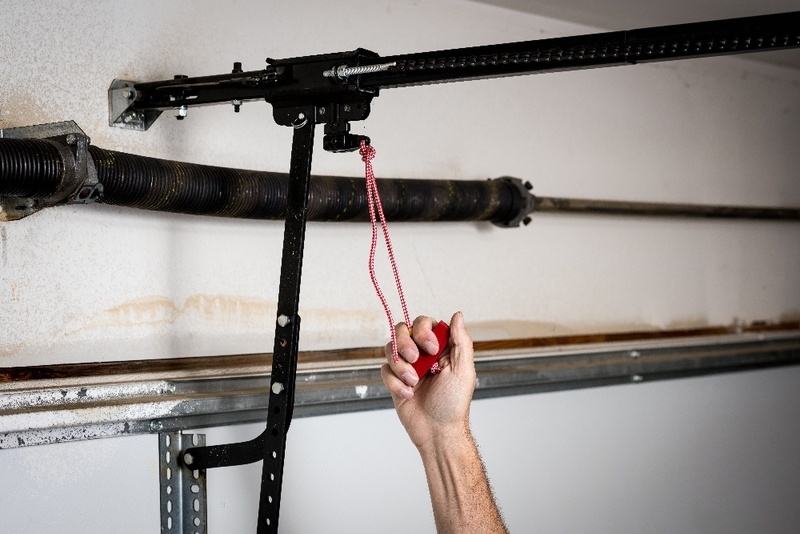 There’s two things to keep in mind when replacing garage door torsion springs: safety and practicality. If one spring fails, you most likely want to have both of them professionally repaired because it’s not only cheaper – you’re paying for one technician visit rather than two – but can prevent physical harm if the second spring snaps while you’re repairing the first. Odds are, if one spring has snapped, the other isn’t far behind. A new torsion spring is usually ordered directly from the manufacturer and can cost anywhere between $40 to $100. Double that and the total cost for parts alone should fall somewhere between a minimum of $80 and $200. Torsion spring repair with Puls starts at $170 with installation included, and tops out at $340, depending on the size of your garage door. Factor in how easy it is to schedule an appointment, our highly-trained technicians, and our guarantee on parts and labor, and it’s clear that Puls is a highly practical choice. Garage door keypad installation starts at $89 with Puls. As per the above homeadvisor.com article, a new keypad itself can cost $60 alone without installation. 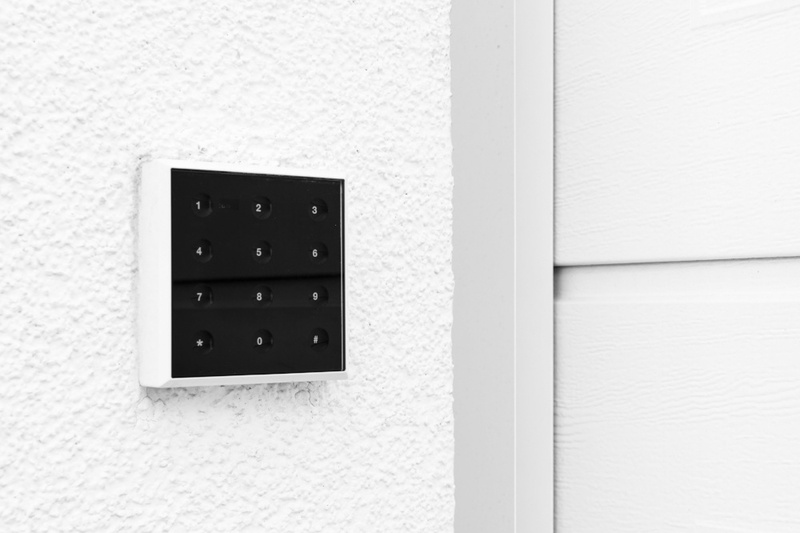 Because garage door keypad installation can be tricky – even the wall material it’s mounted on can have an impact on its functionality – it’s something best left to the professionals. We leave it to you to determine the best deal you can get on high quality parts and installation, but we’re confident that Puls provides the best quality and value. With reasonable prices and a guarantee on parts and labor, Puls has your back when you need to repair a garage door. We specialize in garage door repair in several major cities nationwide, with more to come in the near future. It’s super easy to book an appointment online, and a Puls technician can fix all your door’s problems within the same day. Our highly-vetted technicians are as knowledgeable as they are courteous, and will walk you through everything you need to know about your garage door repair. Your technician will be able to give you an exact price after they perform your 25-step garage door inspection (which, by the way, is absolutely free if you decide to hire Puls for your repair). In the meantime, you can check our price ranges before you schedule an appointment, and compare it to the national average. We’re confident that with our garage door pricing transparency, the numbers speak for themselves. Book an in-home estimate here to find out precisely what your repair will cost.